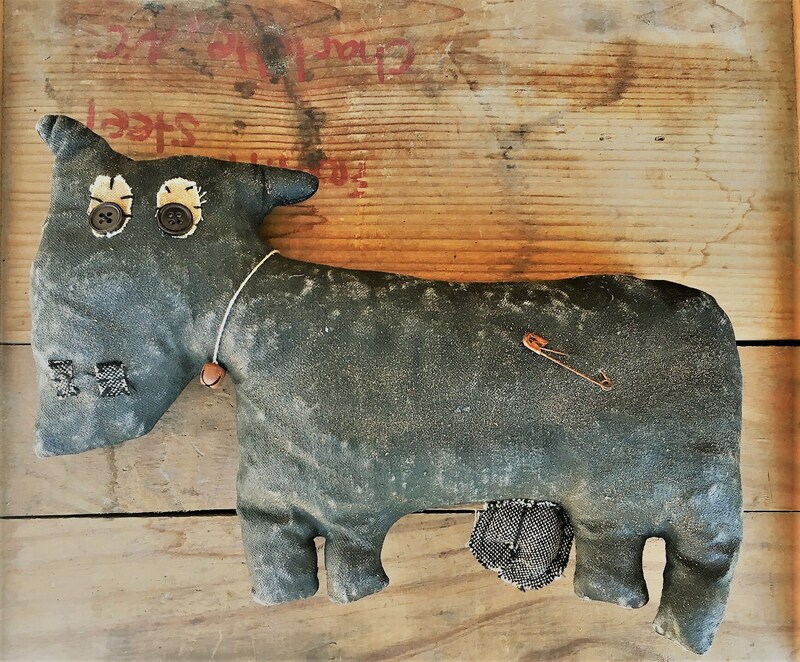 Featured is a nice piece of folk art or farmhouse decor. 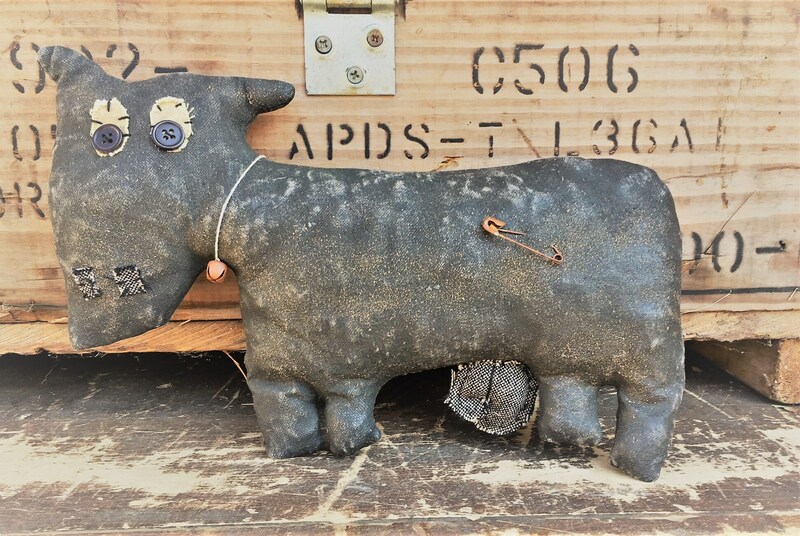 This stuffed black cow seems to be made from leather. It is a bit worn and soiled, but the seams are in tact and it's not leaking stuffing anywhere. It's got buttons for eyes and a rusty safety pin in its side. A small bell is on a string around its neck. 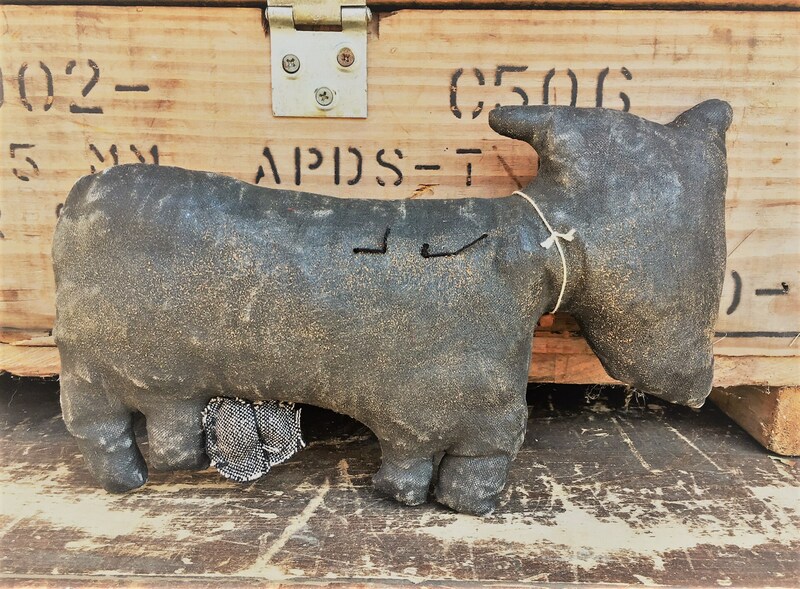 A nice accent piece that would look good on a shelf or atop a cabinet.